Josh Anderson is a Master’s student in the Department of Life Sciences Communication at the University of Wisconsin-Madison. Josh’s research interests focus on factors that affect credibility in science. He is especially interested in how changes in the consumption of scientific information have come about with new media and how these changing patterns affect credibility. 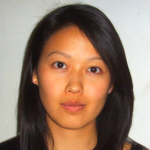 Jenny Chung is a doctoral candidate in the Department of Life Sciences Communication at the University of Wisconsin-Madison. 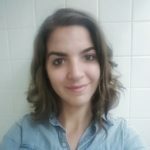 Jenny’s research interests include nutrition, food consumption patterns, production technologies, and fast food with an emphasis on marketing, strategic communications and public perceptions of the food industry. Her current project examines the marketability of nutrition information in fast food advertising. 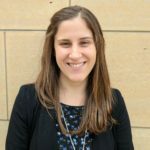 Sarah Clifford is a Master’s student in the Department of Life Sciences Communication and the School of Medicine & Public Health at the University of Wisconsin-Madison. Sarah’s primary research interests focus on public health and risk communication. Specifically, she is interested in studying public opinion as it relates to emerging health crises, infectious disease, and biotechnologies. April is a doctoral student in the Department of Life Sciences Communication at the University of Wisconsin-Madison. Her research focuses on how science communication impacts beliefs and decision-making, both of which can have political implications. 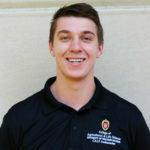 Keith Franke is an undergraduate student in both the Department of Genetics and the Department of Life Sciences Communication at the University of Wisconsin-Madison. Keith’s research involves the intersection of genetic technology with public opinion, with specific interest in how emerging genetic techniques will be implemented into everyday life in the near future. 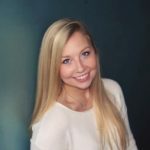 Claire Holesovsky is a Master’s student in the Department of Life Sciences Communication at the University of Wisconsin-Madison. 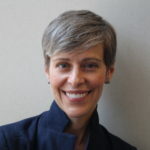 Claire’s research interests focus on science and risk communication and public opinion research. Specifically, she is interested in public perceptions of emerging and controversial technologies, and how that relates to science policy and law. Emily Howell is a doctoral student in the Nelson Institute for Environmental Studies at the University of Wisconsin-Madison and works with the Department of Life Sciences Communication, researching how to communicate controversial and policy-relevant science issues, such as fracking, human genome editing, and synthetic biology. 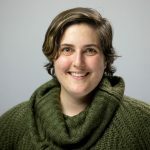 Her work focuses on the role of values in shaping reasoning and opinions toward potentially-polarizing science issues to better understand how to facilitate effective science communication and public engagement with science. Emily is in the Energy Analysis and Policy program in the Nelson Institute. 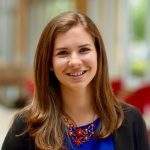 Nicole Krause is a doctoral student in the Department of Life Sciences Communication at the University of Wisconsin-Madison. Nicole is interested in science, risk, and political communication, with a particular interest in controversial issues and the politicization of science. She is also interested in public perceptions of risks facing the Great Lakes, especially among Wisconsin residents. Hannah is a Master’s student in the Department of Life Sciences Communication at the University of Wisconsin-Madison. Hannah‘s research interests include the communication of neurobiology and psychology as well as the influence of trust and values upon perceptions of science, and the effects of participatory science learning and place-based climate change messages upon engagement with climate change. Julian Mueller-Herbst is a graduate student in Communication Science with the Department of Communication Arts at the University of Wisconsin-Madison. 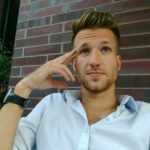 He is interested in how news media communication and social media influence political processes and their public perception in a global and cross-national context, specifically Germany and the US. Currently he is looking at the discussion of scientific and political issues in German and American news outlets. 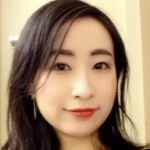 Tomoko Okada is a doctoral candidate in the Department of Life Sciences Communication at the University of Wisconsin-Madison. Tomoko’s research interests focus on science and risk communication, and public opinion. She is particularly interested in studying how media influence public understanding and the process underlying opinion formation in scientific issues. 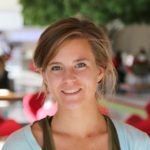 Kate Rose is a doctoral candidate in the Department of Life Sciences Communication at the University of Wisconsin-Madison. Kate is interested in science and risk communication. In particular, her research focuses on public understanding and engagement with respect to controversial science and environmental issues, and the public and scientific discourse surrounding those issues. 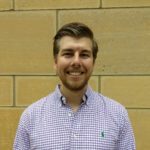 Christopher Wirz is a doctoral student in the Department of Life Sciences Communication at the University of Wisconsin-Madison. 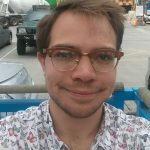 Chris is interested in the public opinion, (social) media discourse, and networks involved in the communication of science, health, and risk-related topics, especially as the issues become controversial and politicized. He is also interested in applying modern methods and computational tools to analyze how people get information and make decisions in evolving communication landscapes. 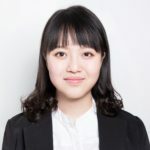 Shiyu Yang is a doctoral student in the Department of Life Sciences Communication at the University of Wisconsin-Madison. Shiyu’s research interests center on risk and science communication. Specifically, she is interested in studying how people use information to make judgments about various health, environmental, and technological risks, and the underlying cognitive and affective processes that shape individuals’ risk perception and risk-related decision-making and behaviors. This material is based upon work supported by the National Science Foundation as part of the Center for Nanotechnology in Society at Arizona State University and the UW Nanoscale Science and Engineering Center in Templated Synthesis and Assembly at the Nanoscale (Grants no. SES-DMR-0832760 and SES-0531194). Support for this work is also provided by a grant from the DOE NEUP. Any opinions, findings, conclusions, or recommendations expressed in this material are those of the authors and do not necessarily reflect the views of the National Science Foundation or the DOE. Additional support is provided from the John E. Ross Chair in Science Communication, the Morgridge Institute for Research (MIR), and the Office of the Vice Chancellor for Research and Graduate Education at the University of Wisconsin-Madison (with funding from the Wisconsin Alumni Research Foundation, WARF).